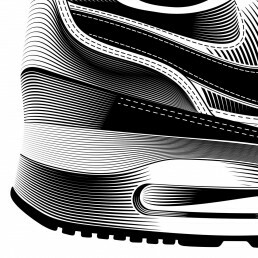 The idea behind this visual was inspired by the name of the trainers — Air. 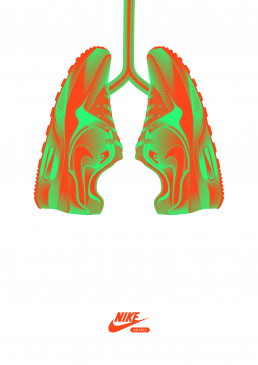 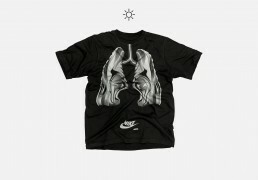 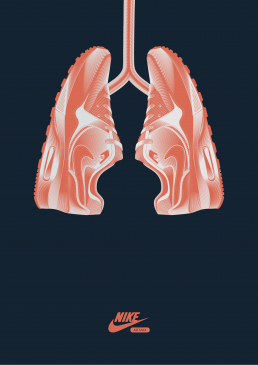 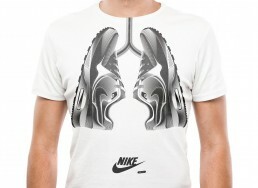 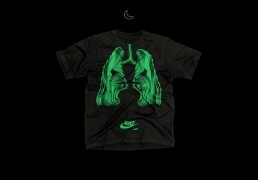 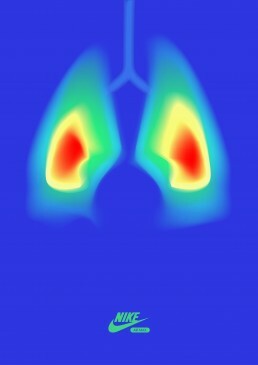 The concept was to show the trainers in the shape of a pair of lungs to symbolise the breathing of oxygen, as the essence of the trainer was it’s lightness. 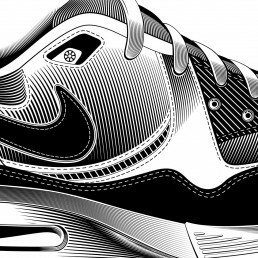 The end line, They Keep You Alive, plays on the notion that the trainers are vital to you, as air is to your lungs, therefore keeping you alive in all sense of the word.